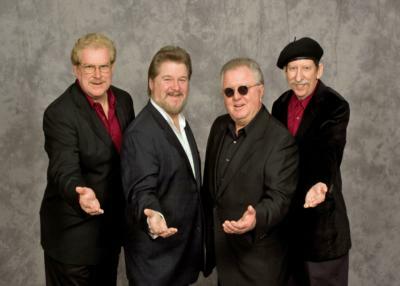 Super-fun, family-oriented oldies show presented by the band best known for their 1960s chart-toppers, "Snoopy Vs. The Red Baron" and "Snoopy's Christmas." 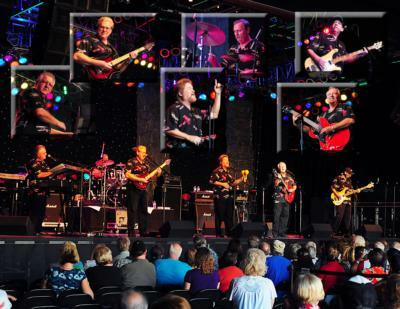 Along with performing their hits during their live shows, The Guardsmen also offer a large repertoire of cover songs from the 1960s and 70s. These skilled musicians deliver an energetic show that is guaranteed to get people in a party mood. Since their heyday, The Royal Guardsmen have performed nationally at clubs, private events, performing arts centers, corporate functions and casinos. Most recently, they played to a packed house at The Cannery Casino in Las Vegas, Nevada. Please note The Royal Guardsmen will also travel to Belleview, Candler, Silver Springs, Summerfield, Ocklawaha, Eastlake Weir, Anthony, Weirsdale, Oxford, Sparr, Lady Lake, Lowell, Citra, Wildwood, Dunnellon, Fairfield, Fort Mc Coy, Fruitland Park, Coleman, Island Grove, Lake Panasoffkee, Reddick, Inverness, Leesburg, Mc Intosh, Orange Lake, Altoona, Grand Island, Hernando, Holder.